Many thanks to Linda Goertz for preaching this fine sermon on the Fourth Sunday of Easter. Maybe that’s why I love the passage about the Good Shepherd. There’s a Lord there who knows what it’s like to have skin on. This past week I came across an online conversation between sheep farmers in New Zealand discussing a “cast sheep.” In case you don’t know, that’s a sheep that has fallen down and tipped over on its back. If it pregnant or heavy with a lot of fleece it may not be able to right itself no matter how hard it struggles. 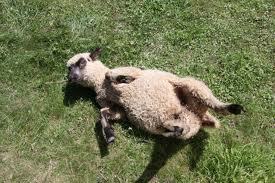 A cast sheep like this is in real danger – they’ve been known to die in a few hours unless someone sets them upright. So one of the New Zealanders had a ewe who’d been righted after being cast but for some reason couldn’t stay up on her feet afterward. Every time they’d haul her up, she’d collapse again. Eventually, one of the farmers from another town drove over to loan the first one a sort of sling for it, and the sheep was finally able to stand on her own. I kind of like the idea of Jesus thinking of me as a silly old sausage. I get lost, too, weighed down with possessions, worries, and the busy-ness that makes me feel important. Those are the times I really need to remember Jesus, the good shepherd — the one who leads us beside still waters, comforts us, spreads a feast for us. 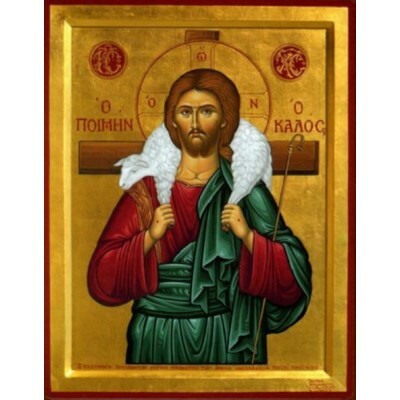 Jesus lays down his life for us wandering, shaggy, doubting sheep, because he loves us. That’s a key word, abide. God will keep on loving us even if we don’t wake up and pass that love along, because God is too big to be changed by our frailties, to stop loving because of what we do or don’t do. But if we want that love to abide in us, stay with us and fill us with a power that goes beyond our own limitations – we need to stop hanging on to it. We need to open up and pass it along to our brothers and sisters. We’re all called to the kind of love that walks with those in need — in person and not in theory. Many of you live out that personal commitment every day in professions of healing, helping, serving, building, or in your daily walk with children, friends and family. Still, many of us, and I’m definitely one, struggle with how to give to others as we truly want to do. Barbara Brecht and I had the wonderful experience last Sunday learning more about the New City Initiative program called Covenant of Hope. You might remember that Sara talked about this a few weeks ago – it’s an opportunity for congregations to help make a home for a homeless family, providing money for rent assistance during a specific limited time period, along with simple acts of neighborliness like help with the move-in or monthly phone calls. We ALL have a great opportunity to learn more about this and other New City Initiative offerings next Sunday, May 6, thanks to the Kaliszewski’s, at their Open House. That information is in your bulletin and I urge you to attend; the program offers concrete ways we can make God’s love real for others. One of the things Paul Schroeder of the New City Initiative talks about is Joyful Sharing. Not grudgingly sharing out of our own “barely-enough,” wearily doing something because we signed up years ago and got stuck, but joyful sharing. Making a conscious decision to share freely out of the fullness within us. Joyful sharing also means learning to say “no” to things that deplete our time and energy but don’t fill us — even if they’re “good” or “should” things. Learning to ask for help rather than trying to carry it all ourselves. Learning to prioritize our commitments and move toward what really calls us. OK, I’m terrible at all that myself, and I need help. So here’s a radical idea: we could pray for each other about this specifically. We could pray for joyful openings to service, for new ways for each of us to pass God’s love along to those in need. I don’t know — Sara doesn’t know — the Bishop doesn’t know — what your struggles are, where you need that joy, that in-filling to bring you comfort and enough strength to share the love you’ve received. But the Good Shepherd does. “I know my own and my own know me,” Jesus says. And he wants to abide in us — not visit us once in a while, not stand above us shaking his finger or tapping his foot impatiently until we get it all together – but abide in us, come right inside. He wants to fill us and empower us with love in spite of our failings. The person beside you right now, the people up here on the platform – we need each other’s prayers because we are all little children trying to learn to love in truth and action. I will pray for you; please pray for all of us and for those who are waiting for our help. Amen. It was on the Internet, so it must be true. So what does this say to us on this Third Sunday of Easter? I would like to suggest that Peter and the other main characters in the Book of Acts are in that prophetic position, on the edge of the inside, and that the way they navigate that position is a component of the successful growth of the early church. First, I offer a little sidebar to remind you that when we talk about prophets and prophecy in the Biblical sense (as opposed to the Harry Potter sense) we are talking not about fore-telling, but forth-telling, by which I mean speaking out and acting out on behalf of God, not predicting the future. Back to Peter. Today’s reading from Acts starts in the middle of a story. What has just happened is that Peter and John, another apostle, were about to enter the temple for afternoon prayers and found a disabled man begging for alms just outside the temple gate. Peter speaks these lovely words: “I have no silver or gold, but what I have I give you; in the name of Jesus Christ of Nazareth, stand up and walk.” The man is healed; he who had been lame enters the temple with Peter and John, walking and leaping and praising God. Everyone around them is astonished to see this act of healing and wonders: How can this be? Peter’s speech, which we hear today, is the answer to that question. Why do you stare at us, as though by our own power or piety we made him walk? Peter right away gives credit where it is due: the power of God working through Jesus and the power of God working through those who follow Jesus. The setting for this scene is perfectly symbolic of the edge of the inside: the temple represents the heart of the religious insiders’ world; the beggar, by virtue of his poverty and his disability, is on the outside. Peter and John are insiders—good Jews on their way to prayers—but they stop on the edge in order to bring the outsider in. Then they turn toward the insiders, speaking to them from the edge, and tell them about the suffering Messiah who rose from the dead for the salvation of the world. In the story of some other disciples meeting Jesus on the road to Emmaus, Jesus takes the disciples on a journey to the edge of the inside. They learn things from him about hospitality, about the importance of sharing food with strangers, about how stories change their meaning when we invite strangers into our midst. Jesus’ interaction with those disciples on the road turns them from people at the center of the inside, having their own private reminiscence about the things that have taken place, into people on the edge of the inside facing outward to invite, forgive, proclaim, and witness. Here at St. David’s, I believe we are called to be at the edge of the inside. I also believe that we are called to maintain rather fuzzy edges between the inside and the outside. I think the dreamlike quality in the Emmaus story is a good illustration of the fuzzy edges. Two guys are walking along the road; another guy appears out of nowhere and enters their conversation in an unbelievable way. Then through a highly symbolic series of events he is no longer a stranger but their Risen Lord. First, like Peter and John, like the disciples on the road in today’s gospel, face outward. See who is hovering around the edges, hungry or broken. Feed them. Invite them in. Share good news. Be good news. Second, if you don’t like thinking of yourselves as prophets, think of yourselves as guardian angels, traveling companions. The perspective—the edge of the inside, is more important than what we call ourselves when we get there. Third, if you find yourself confusing faith and proclamation with preserving the church, maintaining proper church protocol or fussing about your own role or authority in the church, you might be drifting too close to the center. Clergy and parish leaders are particularly susceptible to this drift. The closer we get to the center, the farther we get from the prophetic, guardian angel, companion-on-the-road position. In a few moments, we will do what Jesus did with the disciples in the Gospel; we will break bread together in the name of Jesus. We always talk about the Eucharist as the center of our life together, the center from which everything else we do emanates. We gather around this central altar, our own version of the Holy of Holies. This morning I invite you to think of this holy meal not as the center but as the edge, the place we meet those whose voices are not heard, those straining to hear God’s voice. and who want to love him more. Almighty God, grant that we can show forth with our lives what we profess by our faith. These words from today’s collect remind us that something happened at Easter. 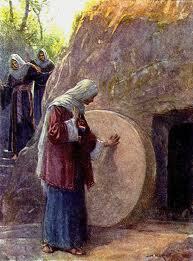 Some heard reports of the empty tomb and believed right away. Others, like Thomas, had to see the Risen Lord with their own eyes. The rest of us live by faith. What we profess by our faith, in the words of today’s opening prayer, is that Christ was raised from the dead. Faith is not certainty; we don’t call it “the paschal mystery” for nothing. Today’s opening prayer also reminds us that that something that happened at Easter makes a difference—or ought to—in how we live our lives. How are our lives different as a result of the resurrection? During the Easter season, we hear snippets from the Book of Acts in place of the Old Testament reading each Sunday. The Hebrew Bible is the story of the Jews becoming God’s people. The Book of Acts is the story of the earliest followers of Jesus becoming a church. In the Book of Acts we get a front row seat as the witnesses of the resurrection ask the question: how are our lives different as a result of the resurrection? What does it mean to follow the risen Christ when he is no longer among us, teaching and modeling ministry? What does it mean that he rose from the dead? Now the whole group of those who believed were of one heart and soul. The resurrection instilled in Jesus’ followers a unity of purpose and call. The ancient word for church, ecclesia, simply means those called out. They became a church by responding to their call to do and be something like what Jesus preached. They were a community of faith—that phrase we use so much—a community of faith in the truest, most literal sense of the word. If Jesus was raised from the dead as he predicted—members of the community might have said to one another—then he truly was of God, and all those things he said about the Kingdom of God must be true. Let us proclaim the kingdom Jesus proclaimed by how we life our common life. 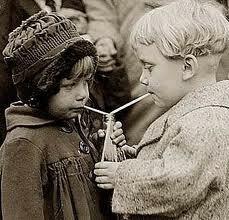 I’m not sure they sat around having that conversation, but it is certainly reflected in their actions. No one claimed private ownership of any possessions, but everything they owned was held in common. What are they, communists? Private ownership of possessions of what makes the world go ‘round, right? As a community of faith, however, we claim ownership in common of some of the things that make us who we are. Our Book of Common Prayer, for example. It is the expression of how we pray, in common. Our worship spaces, our building and grounds. 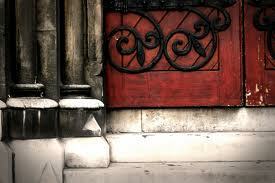 We don’t have little private kingdoms within these common spaces, although it is an easy error to fall into. This person’s pantry, that person’s sacristy, that person’s kitchen, another person’s garden. I hope we resemble the Acts church more than that. With great power the apostles gave their testimony to the resurrection of the Lord Jesus. The apostles were not only witnesses of the resurrection; they were witnesses to the resurrection. They had a story to tell and they told it, with power. We’ll be hearing more about this power in a couple of weeks. Part of what it means to be followers of the risen Christ is to talk about it. Alleluia, Christ is Risen! I know, people would think we were obnoxious at best, crazy at worst, if we did this around our family and friends. They’d stop inviting us places. But how do we give testimony to the resurrection? How do we proclaim the good news of new life in Christ? That is the question we all need to keep asking, and answering. There was not a needy person among them. A lot of us have taken turns sharing our needs with our faith community, right? Speaking only for myself: sometimes more than other times, I need to be liked. I need to be smart. I need someone to appreciate how hard I work. (Dan, where’s the violin?) I need someone to affirm my gifts. I need someone pay attention to me. We all have these needs, and I hope we all have appropriate ways to share them. But I don’t think these are the kinds of needs the early Christians tried to eliminate in their communities. I think they were talking about economic needs, medical needs. What are they, socialists? I’m afraid so. This past week I’ve heard some wonderful stories about churches living out the Book of Acts in their own ways. I encourage you to collect some of these stories for yourselves. I’m going to share two stories, one that happened 30 years ago and one that is happening today. In the early 1980s, mortgage rates were skyrocketing. In a small Mennonite community, several people with adjustable rate mortgages were having trouble making the higher payments and were in danger of losing their homes. So here’s what happened: ten households—couples and individuals—got together and realized that all of them, whether or not they had an adjustable rate mortgage, were living in service to their mortgages when they wanted to live in service to the Kingdom of God. Each person put in a little extra toward one person’s mortgage until that mortgage was completely paid off. Then that person had substantial extra income each month that they could put toward paying off the next person’s mortgage, while everyone else also contributed whatever little extra they had. By the end of ten years, no one in the group had a mortgage. Not only that, but there was $55,000 left over, which they considered to be kingdom money, so the divided it by ten and gave it away to ten charities. was spent on charity. Each mortgage was the concern of the whole group, everyone in the group gave out of their abundance, and in the end they had enough left over to keep giving in abundance. I love this story! The story that is happening today is one that some of you may have read about in the Oregonian over the past several months. I’m talking about the Covenant of Hope, which is a project of the New City Initiative. The New City—which is itself named after early Christian ideals taken from the Book of Acts—helps communities of faith connect with individuals and families wanting to transition out of homelessness. Churches that participate in the Covenant of Hope raise some money to help a family get settled into their own home. Participating congregations commit to raise $800/month for three months. That’s $16/month for fifty of us, or $50/month for ten of us and $7.50/month for forty others of us. I think we could do this. Do you think we could do this? As a Covenant of Hope church we would share more than money. We would share prayer, invitation, a “welcome home” shower, regular communication, and more. We witness to resurrection simply by being a community of faith sharing resources, distributing our wealth, such as it is, to each as any had need. not only with our lips, but in our lives…. This is how we witness to resurrection, and this is how our lives are changed by it. Almighty God, grant that we can show forth with our lives what we profess by our faith. Come and see. The Lord has risen indeed. Alleluia! That’s good; you all have your lines memorized. We know this part about Easter, right? Christ is risen. Or at least we think we know that. Or we hope we do. Or we know someone in our family believes this, so we come with them on Easter Sunday. Or we don’t believe in it at all, but there’s something about going to church on Easter that’s important to us. Or maybe we’re back in church because we have young children or grandchildren and want them to have a shot at faith. Maybe we came as a favor to someone else. Or we love Easter more than anything. Maybe some of us don’t know why we’re here. But by the time we get here this morning, the idea that Christ is risen is old news. It was in all the papers. The resurrection is a given by the time we get to this morning’s gospel. The tomb is empty, the linens that would have covered Jesus’ body are on the ground. At the risk of sounding heretical, Jesus is not the star of today’s story; he has had his moment somewhere off-stage before dawn. The star of today’s gospel is Mary Magdalene. She’s the star because, like any protagonist in a good story, she goes through changes. Mary does not show up at the tomb because she knows Jesus has risen from the dead; on the contrary, like some of us, perhaps, she shows up because she is not sure….about anything. In the scene we just witnessed in today’s gospel, she doesn’t get what’s happened. She and the other two disciples go back and forth: “They have taken the Lord out of the tomb, and we do not know where they have laid him.” The other disciples just go home. Mary sticks around, asking the same questions to whomever she sees: Where is he? Where have you taken him? Mary is having a rough morning. he suffered death and was buried (check). This is a statement of faith in the resurrection that over centuries has been handed down and tweaked and argued over by scholars. This doesn’t mean it’s not true for many of us; but—more heresy—the creed may not speak to us in the same way that Mary speaks to us on this Easter morning. Mary Magdalene, the one we call “the apostle to the apostles,” doesn’t know what she’s seeing. There is no creed for cluelessness or doubt. Mary’s experience of faith is anything but abstract, right down to the linen wrappings lying in a bloody heap. All she knows is what she doesn’t know. Where is he? All she has are her questions. I’m guessing she’s not the only one. Mary’s experience at the empty tomb may seem centuries away from ours, and yet because she starts in this vague, confusing place, she can both nudge us and lead us toward the truth as she moves into the real experience of recognizing Jesus. How will Mary recognize Jesus? Will she put on her glasses? Recognize a ring he’s wearing or a tattoo on his arm or a particular scar on his leg? Will she get close enough to smell the fragrant oil a different Mary poured over his head just a few days earlier? What marks the turning point for Mary? What makes her know Jesus? Jesus calls her by name. Hearing her own name, she feels a tingle of connection. Then she recognizes Jesus for who he is. We have probably all had the experience of being called by name, realizing we are known when we didn’t know we were. Lord, you are in the midst of us, and you have called us by name, says the prophet Jeremiah. We don’t usually recognize the voice of Jesus calling us. But we all know what it feels like to have someone call us by name. In a subtle way, it is an experience of the holy. Whether we are followers of Jesus or friends of Mary Magdalene, or both, we can convey that experience of the holy when we call someone else by name. As an Easter community of people who wander into the empty tomb with all of our confusion, our questions, and our doubts, we are more equipped than anyone to pay attention to the nameless, voiceless ones who weep and wonder. As Easter people, we witness to the promise of new life whenever we recognize someone who is alone and confused, and call him, or her, by name. There are some people I want to call by name. Earlier this week, a couple of us were joking about how I could spend the first five minutes of this sermon giving shout-outs to all the people here whom we just see once or twice a year. But that’s not what we’re about. This is a small sampling of people who are currently on death row around the country, whose executions are scheduled over the next few months. I don’t know anything about them, but I want to call them by name. Susannah went missing from her family a year ago; her aunt thinks she was abducted by a pimp. She thinks he’s made up a new name for her. Susannah. JJ lived on the streets for decades, and finally got into housing in the last year. Like so many people who move from the streets to permanent housing, he found himself completely alone. Someone found him last week on the floor of his room, too sick to move. He’d lain there for days. Someone I know, someone who swims in that spiritual soup where many of us live, the soup of faith and doubt, went to see JJ, to sit with him as hospital workers tried to find someone to consent to turning off life support. She sat with him, with all of her questions and her doubts, all of her Holy Week confusion, and she called him by name. JJ died early yesterday morning, with the memory deep inside him of one of the last things he heard: someone calling his name. Who is waiting for you to call them by name? In a few minutes we’ll celebrate the reconciliation brought about by the cross by exchanging the Peace with one another. I’d like to suggest that this morning when you exchange the peace with those in the pews around you, that you call them by name. If you don’t know their name, it’s okay to ask. If you came here today without a clue what Easter might mean for you this year, remember Mary Magdalene, who felt the same way, and became the bearer of such Good News. You are the star of today’s story. You are the Good News. God calls you by name. And so, our journey begins. I’m talking about the Holy Week journey that is the climax of what some of us call the Church Year. April 1, 2012, meets Passiontide, which happens on a different date year after year after year, this complicated Sunday when Jesus enters Jerusalem to the sounds of joyful worship, and then is turned over to the authorities, tried, and executed. Particular events in a particular week two thousand years ago, which we re-enact and experience afresh in this 2012 week that begins today. We are traveling, through time and outside of time into a mystery that defies telling but must be lived. 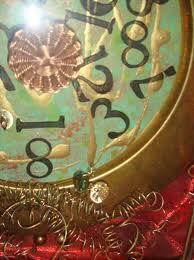 The ancient Greeks had two words for time: chronos and kairos. Chronos refers to chronological or sequential time, while kairos refers to a time in between, a moment of indeterminate time in which something special happens. Chronos is quantitative; kairos is qualitative. Kairos is used to talk about the right moment, or the supreme moment. Kairos is time beyond time, time outside of time. During Holy Week, we pay attention to chronological time: April 5, 6, 7, and 8. Six pm, 7 pm, 8 pm, and 10 am. Maundy Thursday, Good Friday, Holy Saturday, Easter Sunday. But the aim of our worship on those days is to enter into that time in between time, the time for all time that is kairos. I know there are lifelong Episcopalians among you who have never gone to Holy Week services other than Palm Sunday and Easter Sunday. Holy Week is for you, no matter how many years you’ve lived without it. And there are others among you for whom this is your first Lent and your first Easter in an Episcopal Church. Holy Week is for you. I bet some of you in each of those categories long for some resolution to the betrayal and death we just heard about in the Passion Gospel. Holy Week is for you. On Wednesday, we offer a preview piece of the Holy Week journey with Stations of the Cross. Traditional, ancient readings and prayers mark the steps along the way of Jesus’ final journey, with non-traditional images and non-traditional music. We’ll also have our own version of Jerusalem’s wailing wall, a place for you to enter into your own stories of loss or betrayal or mourning. Thursday marks the beginning of the Triduum, a wonderful Latin word (with two u’s) that simply means “three days.” On Maundy Thursday we mark Jesus’ command to love one another and to live out that love through the celebration of the Eucharist. It is a time rich with symbol and ritual in a relaxed community setting. On Good Friday, we offer two choices: the three hour service in the afternoon, and the traditional Good Friday liturgy in the evening. The afternoon service is a series of meditations on the seven last words from the cross, with lots of time for silence and for listening to music that is sublime and deeply moving. The evening service on Good Friday is very simple. The church is empty of any adornments, and it is the one day of the year when we fast even from communion. We venerate the cross and we pray prayers, called the Solemn Collects, that we only pray on that one day of the year. The former Bishop of Rochester, New York, used to say to his parishioners: If I don’t see you in church on Good Friday, I don’t expect to see you on Easter! Of course, I do expect to see you all on Easter, but the resurrection takes on new meaning when we enter into it through the emptiness and darkness of the Cross on Good Friday. The Great Vigil of Easter on Saturday night is the dramatic movement from darkness and emptiness to light and resurrection. Bring bells to ring and a good appetite for omelets and champagne. I’d like to challenge each one of you to attend all of our Holy Week services, but if you can’t, consider simply adding one more to your week. You won’t regret it. I’ve been talking about these services as if they were separate events, which, from a chronos perspective, they are. But from a kairos perspective, they are one service. There is no dismissal, and no postlude, at the end of this service, and you’re invited to leave church in silence. All of our services this week begin and end in silence until the end of our first Easter celebration on Saturday night. Time outside of time, time in between time, time beyond time.